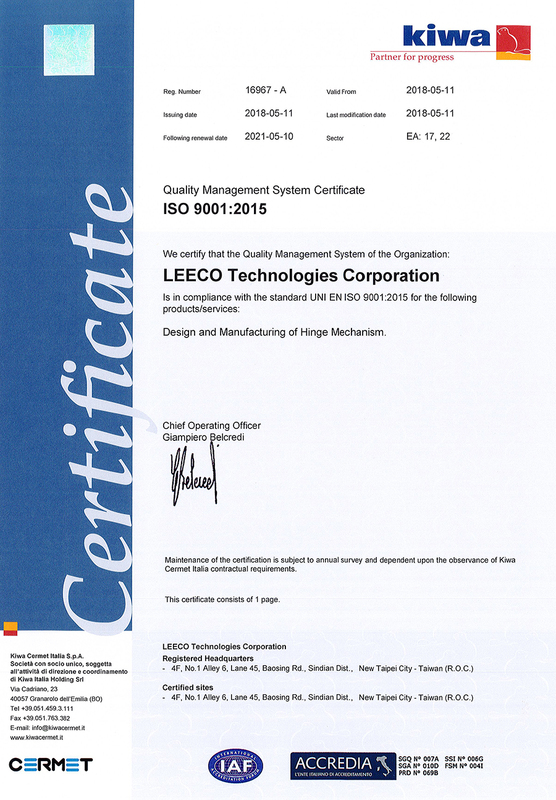 LEECO was founded by a group of engineers and manufacturing team in Taiwan with over 20 years experience in friction torque hinge solutions. 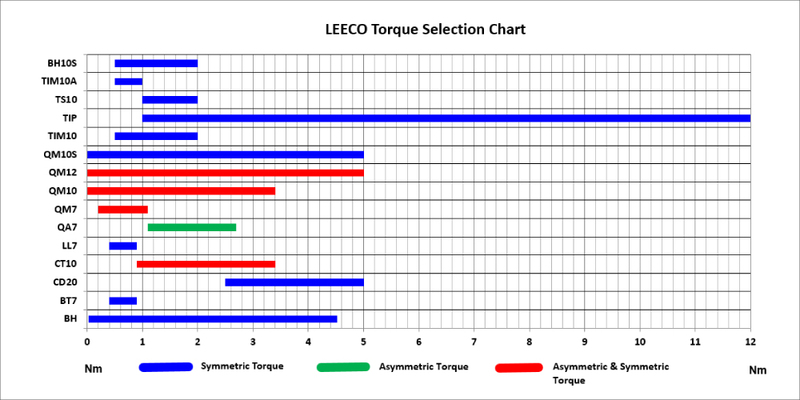 LEECO designs and manufactures various types of friction torque hinge for a wide range of position control applications, including laptop computers, portable electronics, automotives, medical equipments and house appliances. Our core technology is torque engine, the mechanism that generates friction torque, which, in certain designs, allows our hinges to achieve over 100,000 cycles life with less than 15% torque tolerance. LEECO provides friction torque hinge solutions to major brand names on the market. With our experienced engineers and in-house precise process control, LEECO is able to deliver hinges of various configuration, torque ranges as well as customized features that meet customer’s design requirement, especially when space is constrained. 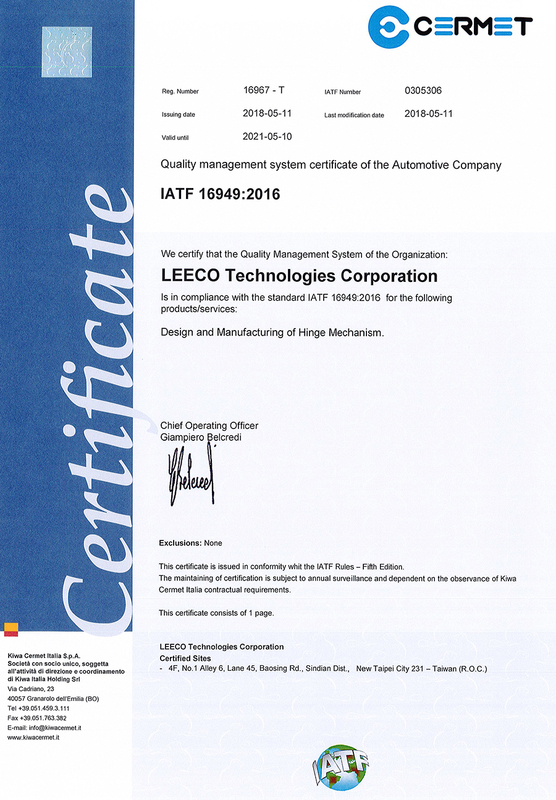 ISO 9001:2015 and IATF16949:2016 certified, our manufacturing facilities locate at Taipei Taiwan. And all our friction torque hinges are RoHs and REACH compliant. Our mission is to provide high quality innovative friction torque hinge solutions to enhance the value of your products. ．Commits to quality and service.